Note: I was really sick for about two weeks and fell behind in posting... pardon me while I overload your newsfeed to catch back up around here! If you haven't subscribed yet to Paper Pumpkin, you're missing out for sure! Personally, I waited far too long and now I'm so glad that I get this happy mail in my mailbox every month! 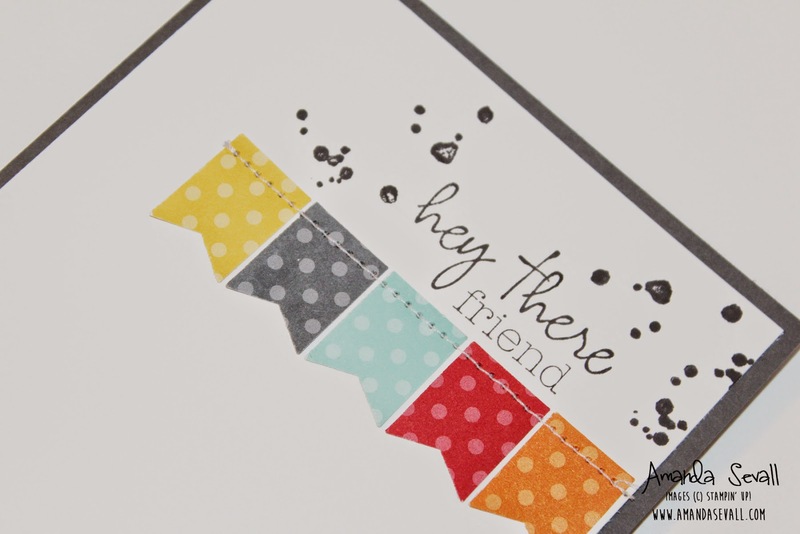 This card was made using punches, my sewing machine and the stamps + ink from the Paper Pumpkin welcome kit -- the kit that comes the first month you subscribe! Don't miss another month.... learn more and subscribe now!